The most tedious part of the entire canoe building project has to be making the strips. 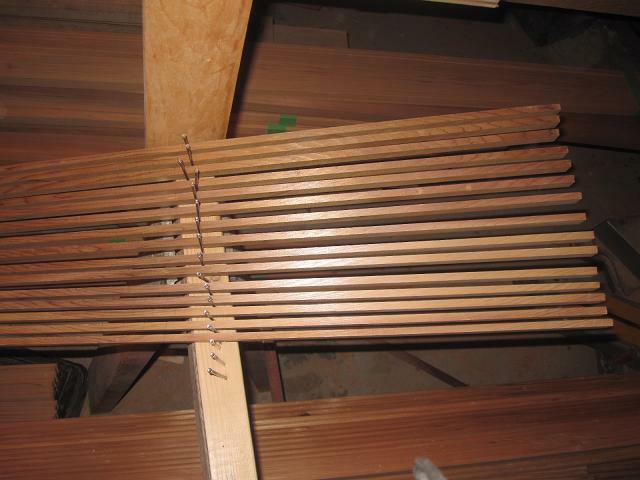 If I had a lot of dough, I would have bought 17′ strips as a special order from the lumber yard. Unfortunately, I don’t have a lot of dough, nor do I have a workspace where I can easily accommodate such long strips. So I settled for 10′ planks of select western red cedar (WRC). Beautiful stuff. But it had to be ripped. So I recruited a friend to share in the dust (my children being easily bored/afraid of rapidly-spinning saw blades) and got to work. First, the tools of the trade. The table saw, of course, and the respirator. 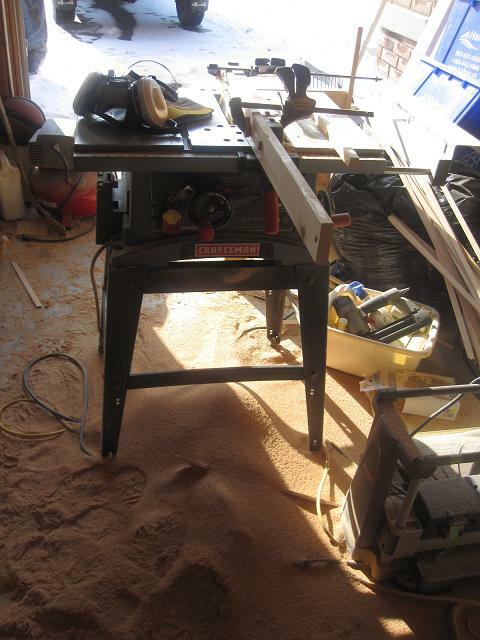 There was dust flying all over the place (note the sawdust on the floor), so it’s foolish not to think some of it won’t end up in your lungs if you’re not suitably protected. After ripping strips for hours and hours, the strips were ready for routing. I’ve decided to do bead and cove for most of the canoe. I’ll use a rolling bevel for the floor of the canoe (also known as the football). More on that later. …but it will also enable me to join strips that come from the same board and the same relative position of the board (given that the characteristics of the strip can change depending on where it comes from on the board). I do the bead first because the cove is delicate and I’m likely to bash it up as I manhandle the strips in the narrow confines of my workspace. Note that the router is attached to a shop vac to keep the mess to a minimum. After I bead a batch of strips, I bundle them up and set them aside and move on to the next bundle. 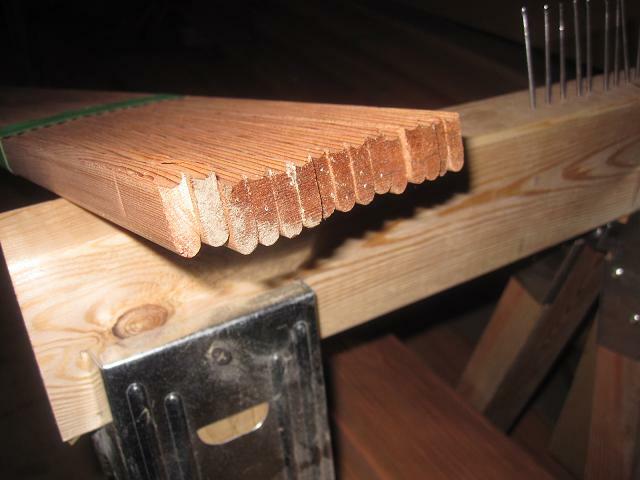 When all the strips have a bead, I then change the router bit and do it all over again with the cove bit. 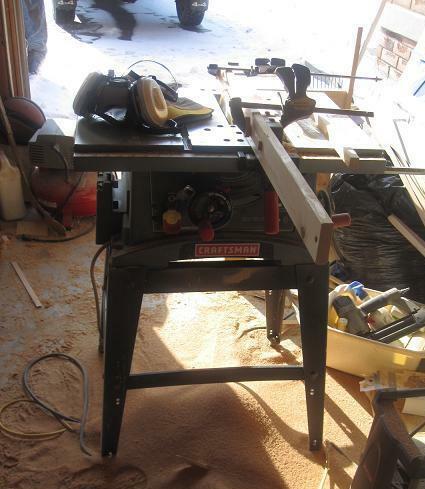 … and I’m happy because this means that I can put away my table saw and router and start thinking now about stripping the boat! 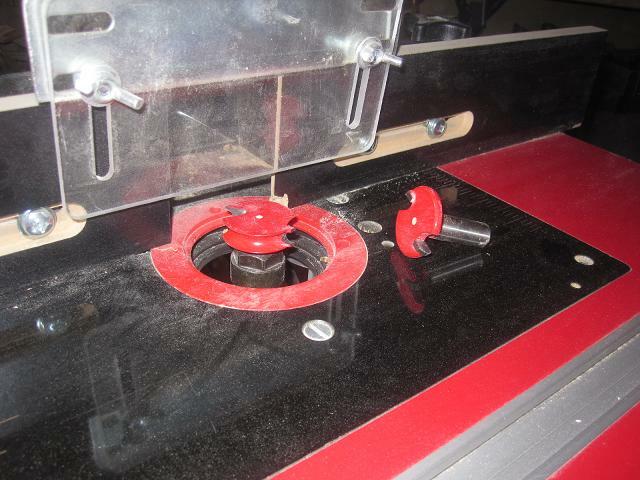 You are currently reading Making the strips at greybeard canoes & kayaks.